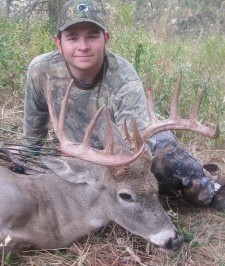 Miles High Outfitters offers some of the finest “Private Ranch” guided whitetail hunting trips in Idaho. Our season is very liberal, starting the first of September for archery hunts, and our rifle season runs October through November. A late season archery hunt for whitetail deer also offers extended hunting opportunities in December. 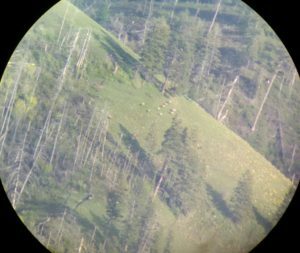 This area of central Idaho has the highest whitetail deer density in Idaho with some record book whitetail deer being taken every year. 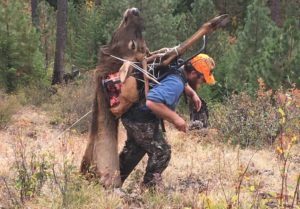 Miles High Outfitters, based in Grangeville Idaho, has access to thousands of acres of public lands nearby, along with private ranch hunting reserve permits. 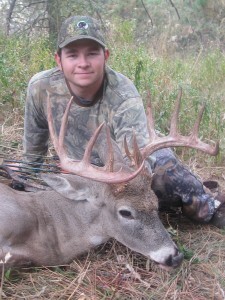 We offer perhaps one of the most unique whitetail hunts anywhere, especially during December. That time of year, as the heavy snows start to fall in the back country, the old timers will rise from their high mountain haunts and head for the wintering grounds. During this annual migration, the big ol’ bucks are vulnerable along major travel corridors and offer the skilled archer the chance to see a large amount of deer and multiple opportunities at some truly large bucks! 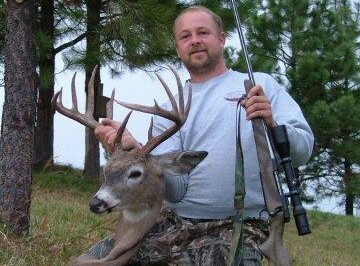 We take several Pope and Young class deer annually. 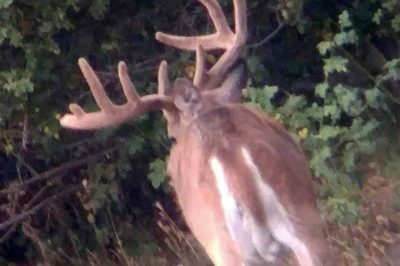 Our rifle rut hunts are in high demand as well and provide the opportunity to take a monster buck that has come out of his little hiding spot to spread his genes. 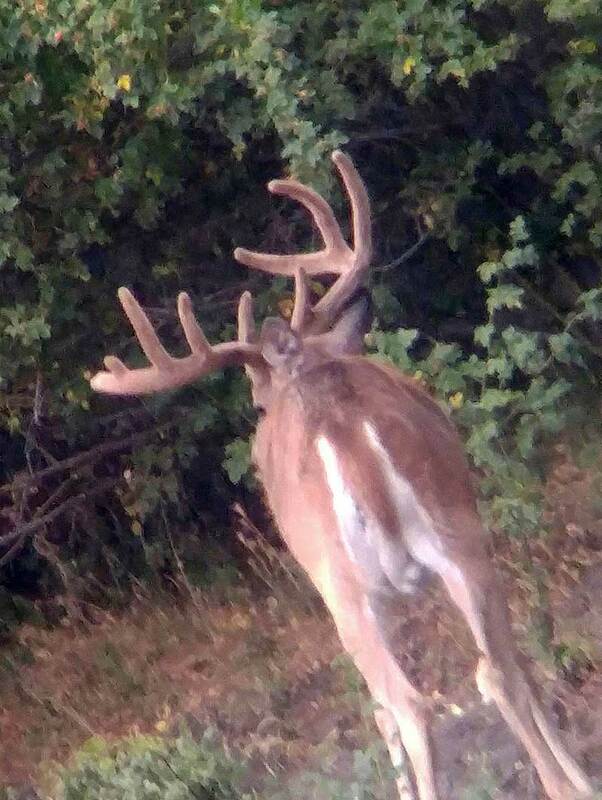 The techniques we’ll be utilizing are basically the same, whether you’re rifle hunting or archery hunting, it just depends on what we think will give you the best opportunity at the buck you’re after. It could be spot and stalk, by tree stand or ground blind. 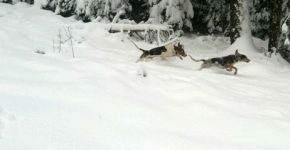 So be prepared for all methods when you come hunting, we’re going to do everything it takes to see you go home with your tag notched! Our whitetail deer hunting is superb, so if you are looking for that trophy of a lifetime — give us a shot, you won’t be disappointed.